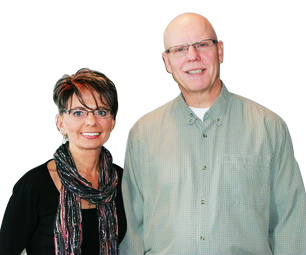 As home builders, Murray and Debbie bring a wealth of experience, expertise and personality to their business. Murray is a journeyman carpenter and holds an inter-provincial ticket in this trade. He spent thirteen years working for Saskatchewan Housing Corporation and eight years as Safety Codes Officer with the City of Red Deer. He has always been a "detail" person and as a home builder, attention to detail is important. Debbie has spent her career in the retail, hospitality and design industry. She is a "people" person and enjoys the one on one contact that she has with their clients. She is "hands on" in designing and decorating all SOMERSET HOMES. Throughout the purchase process, Debbie and Murray are considerate of your individual needs. From the initial purchase, to possession and warranty, the Somerset Homes team is committed to delivering a quality experience for all homeowners. SOMERSET HOMES speak for themselves and they will continue to build with excellence as they treat each home as if it were their own. SOMERSET HOMES offers as standard features many of the items that other builders charge extra for and that too is part of the "Somerset Difference".